The firm has a keen eye for detail, understands all facets of development, and is hands-on throughout every aspect of the process from beginning to end. Contact us today for more information! Naikoon Contracting Ltd. is one of the most experienced and accredited high-performance home builders in the country. We build quality, well-built homes using sustainable construction practices. We build every home as if it was our own. Our organization has also completed a diverse range of projects including food processing facilities, airport terminals, civil works upgrades, envelope remediations, community centres, chemo labs and much more. It is with this full circle industry experience, that we can add major value to any project team.Our projects have been awarded by multiple institutions and reflect our expertise. Offering building design, interior design and construction management services. Together, these services provide a holistic approach to creating that perfect home or business you've been waiting for! 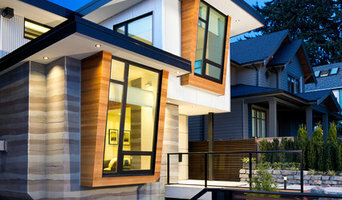 Averra Developments is an award-winning Vancouver custom home builder with +10 years of experience. Averra specializes in single & multi-family homes and layaway houses. In addition we are experienced with heritage renovations. Our managing partners are Guy and Gavin. They formed Averra Developments in 2007 from their shared passion for design and building quality homes. Their approach with clients is "hands-on" and they are committed to transparency, high-quality workmanship and attention to detail with construction, service and management. Over the years, Averra has proudly build strong long-term relationships with clients, trades, and suppliers; an approach that has positioned Averra as one of Vancouver's leading home builders. When Guy and Gavin aren’t busy on-site, they can be found at the hockey rink or on the soccer pitch; either playing with their own teams or coaching and cheering on one of their kid’s teams. Royal Golden Construction Group Ltd.
We subscribe to the importance of selecting materials, methods and practices which address the energy efficiency, economic concerns, durability, comfort and sustainability of all building projects. Construction and real estate development company based in the beautiful BC. Our mission is to construct the finest quality of residential homes built upon values of excellence, integrity, respect for the environment, and community engagement. We take great pride in building honest relationships with our clients founded upon mutual respect and highest standards of professionalism. We have decades of experience in all aspects of development from acquisition and design to construction and completion of real estate projects. At Archia, we work tirelessly to ensure that every home that we build is a strong landmark of our commitment to the highest standards of excellence and a significant positive contribution to our communities. Averra Developments is an award-winning Vancouver custom home builder with +10 years of experience. Averra specializes in single & multi-family homes and layaway houses. We are an award winning design firm that offers Building Design, Interior Design and Construction Management services. Together, these services provide a hollistic approach to creating that perfect home or business you've been waiting for! We’re a boutique firm passionate about creating YOUR home for YOUR life. *VictorEric doesn't just create amazing spaces, we create amazing workplaces! We reward the employees who build the relationships which drive our success! Over the past few weeks we sponsored a contest called "Houzz Race for Reviews". The team which inspires the most genuine feedback from our clients, associates and suppliers wins dinner at our local race track! Bellingham Bay Builders was founded in 2004 as a general contractor and organized as a worker's cooperative, we offer a different way of doing business. Many of our staff are not only dedicated, experienced professionals but also owners of the business. With an owner's perspective our crews run their jobsites (and your homes) with a high degree of professionalism and orderliness. With our long track record in green building and LEED AP's we bring unparalleled expertise to your project. We place a special emphasis on providing good value through maximizing energy efficiency, building for low maintenance & durability, employing healthy indoor air strategies, and careful project management. Besides providing thorough and consistent project management our crews typically provide all the carpentry work on your project. The Best Builder team offers clients a complete professional homebuilding package thanks to extensive knowledge and experience in design, contract procedures, project management and trade skills. Several years of experience, efficient management, and hard work, has allowed Convex Development to build a high quality home at a fair price. We are a small volume, custom-building firm led by owner Ken Connolly. Ken and the team work closely with clients to ensure that their home is completed exactly to their specifications, on time and on budget. 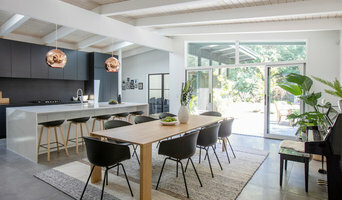 As one of Nanaimo’s most adaptable and professional builders, Pheasant Hill Homes offers everything from unique and contemporary custom homes, to small-scale renovations in the central Vancouver Island area. We apply our knowledge of building science to create homes and renovations that minimize their environmental impact and are constructed with building methods and details that surpass minimum code construction. We have a team of people who are trained in Passive House construction including the owner who is a certified Passive House consultant. Our high rate of repeat clients indicate that our polite, professional carpenters and our honest management style create better homes as well as trust and respect in our clients. If this is the kind of building or renovating experience you would like, give us a call. Pheasant Hill Homes is inspired to build better homes that will deliver energy efficient, comfortable, and healthy living spaces for our clients. We are an award winning luxury custom home builder in the Metro Vancouver area. We pride ourselves in establishing an amicable working relationship with our clients by delivering exceptional quality, transparency and value. Those who use us-trust us. Ask us about our award winning client-centered approach. To pursue their vision to build exceptional custom homes, Larry and Candice Clay founded Clay Construction, Inc. in 2004. The Clays believe that a positive custom home building experience requires many elements: a realistic budget, schedule tracking and detailed reporting systems, high-quality work and a commitment to after-sales service. Our mission is to build spectacular, premium quality custom homes. We are committed to excellence in every aspect of construction: knowledge, skill, professionalism, and safety. We take pleasure in tackling unique building challenges and delivering unparalleled attention to detail. More than just ‘building your house’, we will serve you with consideration, integrity, honesty, and transparency. Davidson Walker strives to exceed expectations in everything they do; their foundation is built on referrals and trust. Trust is built through their unwavering commitment to delivering the best. Sage Construction Specializes in high end custom construction. We take great pride in building lifelong relationships with our clients by working closely together, listen to individual needs and building a top quality product customized the their wishes. Bo Project uses its own proprietary cross-linked estimation and billing system, providing accurate and timely information giving the clients a clear and transparent insight to their project. Convex Development is a full-service custom homebuilder firm. With eleven years of experience, efficient management, and hard work, it allows Convex Development to build over 50 high quality homes at a fair value. And that is why we believe delivering best value to our client is our top priority. Convex Development has been a trusted builder for over 50 projects across Vancouver area. We work with only a select number of projects every year to ensure that we can focus on providing exceptional service in new construction, remodeling and building maintenance. We have demonstrated professionalism, high quality and reliability time and time again. At Convex Development, we take pride in being a premier general contractor for custom new home and remodeling, placing the same passion for excellence to your next new project. New Home Builder, Site Management, Construction Management. Square One is White Rock, BC’s custom home builder and renovator with 20+ years of industry experience. We combine innovative design with an excellent customer experience. ERA takes the privilege to introduce us as one of the upcoming and growing construction and development company in Vancouver, British Columbia.We are a professionally managed company. Shirmar Construction has been providing a high level of customer service and quality construction built on a foundation of honesty, integrity, and hard work. Shirmar has excelled in the industry because of its owner’s strengths in communication, a strong work ethic, and a dynamic approach to construction and renovation. Shirmar has been built on a foundation of transparent business practice, an emphasis on communication, and the desire of its owners and employees to use their gifts for more than just turning a profit. We build the custom home & laneway house your neighbor's wish they owned. With over 30+ years experience specializing in custom homes, laneway houses & renovations, we have you covered! What’s the most important step in building a new house from the ground up? Many people would say it’s choosing the right Hastings-Sunrise home builder. Constructing a new house is a huge and multifaceted undertaking, so it’s important to find custom home builders in Hastings-Sunrise, BC you can trust to bring your vision to life, as well as keep the process under control from start to finish. Although a construction job is never without surprises and challenges, a Hastings-Sunrise, BC home builder who’s a good fit for your specific project will make these far easier to handle. For Hastings-Sunrise residential home builders who also act as developers, the job starts well before the first nail is driven. They perform local market research to determine whether the prospective homesites make sense in the Hastings-Sunrise, BC market, as well as survey the land on which the house will be built to make sure it is suitable for construction. Custom builders also obtain the necessary permits. A good custom home builder in Hastings-Sunrise, BC has skills that go far beyond construction — he or she must supervise subcontractors and artisans; keep tabs on local zoning regulations, building codes and other legalities; inspect work for problems along the way; and perform dozens of other roles that are essential in building a quality house. Here are some related professionals and vendors to complement the work of home builders: Interior Designers & Decorators, Landscape Architects & Landscape Designers, Architects & Building Designers, Kitchen & Bath Designers, Specialty Contractors. House builders are responsible for ensuring that the home-building project sticks as closely as possible to the specified timetable, particularly in the event of change orders. Custom and luxury home builders in Hastings-Sunrise, BC also need interpersonal skills to deal with clients of all types, soothe frazzled nerves, negotiate conflicts and resolve problems. Find custom home builders in Hastings-Sunrise, BC on Houzz. Narrow your search in the Professionals section of the website to Hastings-Sunrise, BC home builders. You can also look through Hastings-Sunrise, BC photos to find a house you like, then contact the builder who worked on it.